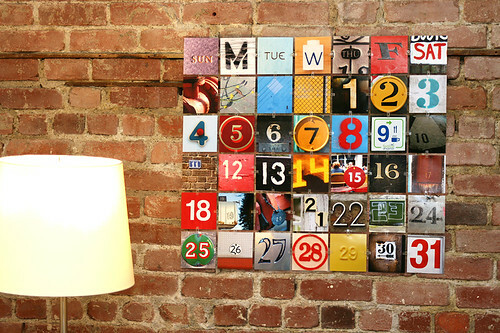 a perpetual photo wall calendar (photo courtesy of photojojo). so love!! saw the idea on a couple blogs and then one of them led me to photojojo's DIY tutorial. i thought it would be a cool idea to do a number finding adventure in downtown leavenworth or kansas city, together as a family. what a great way for everyone to play a part in the design and to always have a part of kansas with us (our time here has been amazing!). can't wait to get started. and i'll definitely share the results, when i'm done. and if you don't feel like taking on the project yourself, little brown pen offers an awesome perpetual calendar for sale here. note: if you're family, please don't buy one because you just might be getting a kansas-inspired calendar for christmas.